As weird as it sounds, make sure that you make the distinction between “water damage” and “flooding.” This distinction might actually have a big difference on how much you can receive from your insurance company. The reason why? Most homeowner’s insurance policies don’t cover floods, but they may cover water damage. This may not be too big of a deal if your whole neighborhood has been flooded, but if it’s just a burst pipe in your home, check the wording. Don’t describe any of the water flow as a flood. Even if your insurer comes around eventually, that could take months to fight, which may mean you’ll be paying bills for months before you are reimbursed for them. If there is obvious evidence that the damage in your home was caused by an accident, such as storm damage, make sure not to move it! Of course, do your part to meet their requirements on mitigating loss. What this means is, you must prevent further damage from being done when at all possible. However, just be sure to avoid a situation where it’s your word about the damage against your adjuster’s. If you have to move something to repair it or keep it from being damaged further, take a photo as proof! Since most people these days have smartphones, use yours to take photos of the damage in your home! Even if it feels like you have taken too many photos, take more – it’s better to be safe than sorry. Also, document anything you have to move in order to avoid further damage, as well as the initial damage it received. If you have any “before” photos from the room where the water damage occurred, then you might be able to make your point even stronger! It can help you dispute how much something was damaged after the incident. If the water damage from your home was caused by someone else – an upstairs neighbor, for example – document everything you can about the incident, as well as their contact information, their insurance company, and the policy number. Get as much information as you can about anything that caused the water damage, including VIN numbers. If someone else is responsible for the damage to your property, then you can expect their insurance company to take care of it. This means that you could get your deductible back from your insurance carrier. During your first call to the insurance company after the damage has occurred, ask what their policy is when it comes to meals and temporary housing if you are forced to leave your home while SM Absolute handles the water damage. Typically this amount is capped at 20 percent of the total coverage amount, but make absolutely sure that your insurance company gives you an exact number. Keep a detailed record of everything you had to pay for from the moment of evacuation until the moment you get to go back home. 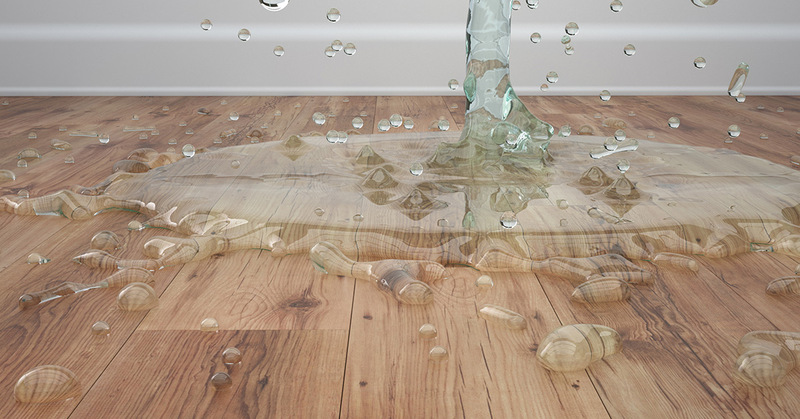 We at SM Absolute know how frustrating it can be to have water damage in your home, but we are here to help you and your family recover after the damage has been done. Once you have done everything you can to prepare for dealing with your insurance company, our team of professionals will rush in and handle all of the damage. Call us today to learn more about our services!